bohemian vibe to a whole new evening territory. setting over ‘The Whitsunday Islands’ and the sparkling sea. Bliss. added my oh-so-suave ‘Daniel Wellington’ watch for some extra sparkle. How would you wear the boho trend for an evening out? You look nice! I love background of your photos! look so beautiful ~~ love your top so much!! Wow you look absolutely stunning, I also love the head piece you were wearing too! what a perfect choice of location for the shoot! Amazing post! I'm loving how you styled your lacy top here!! Glad you are having a wonderful holiday! You make me want to jetset to a beautiful island too hehe. You look beautiful <3 Love the dress on you!! The headchain is such a perfect addition to the look! I super like that top and head accessories <3 You look so chic! This outfit is so pretty! Love the jewelry! Hello! Just stop by and I love your blog! That cruise sounds lovely! 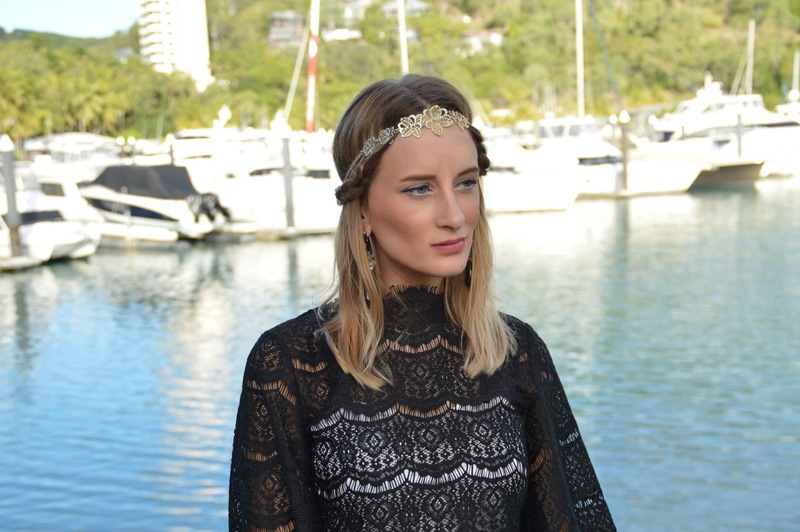 I like your gold headpiece and the black lace is a nice touch for an evening look! What a beautiful look for a cruise ride. Love the sunset shots. *Grabs onto Apartment Bed*…so hilarious. Glad you had such a great time….so envious of you right now. I love how you included the crotchet trend in your outfit. But the head accessory does it for me. Beautiful look! I love that first pic! I love this look of yours!! So pretty and chic! Beautiful! The setting is gorgeous! Wow darling! What a marvellous shooting! You're beautiful!! I absolutely love the lace high neck! What a refreshing look, very nice! Gorgeous pictures! Totally love your dress! 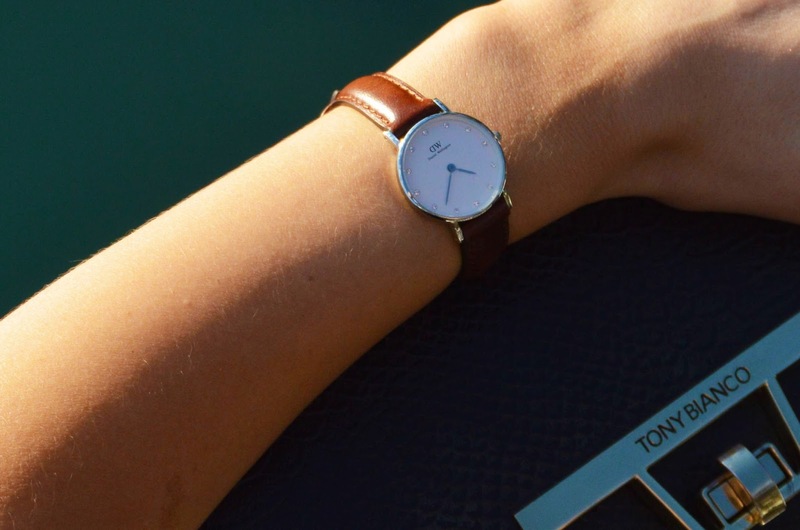 I love Daniel Wellington watches! I have quite a few of them now. You look so pretty with your headband too! I love these pics, cool look too! Your head piece is very flattering and pretty! Beautiful photos… you look soooo gorgeous!! I love the outift!! Sounds like such an amazing night and these photos are amazing. Adore your entire outfit! Your trip sounds amazing, can;t wait to see more photos from it. Gorgeous hair piece, and black lace is always a good idea! Great look! very classy yet boho… love this look. 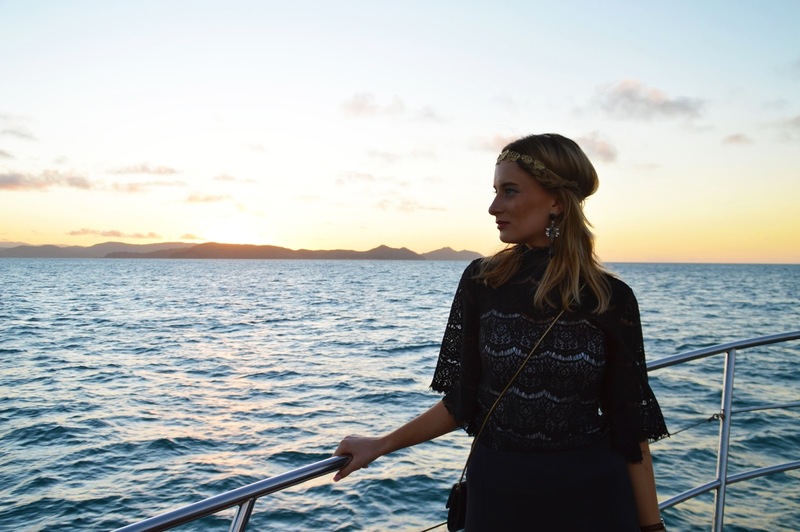 Love that bohemian vibes in your outfit, you look so amazing in it darling! Your outfit, and the setting are just perfect! Absolutely beautiful! I'm green with envy. I would love holidays like yours. You look fabulous and the photos are really breathtaking. Great memories. I'm in love with your dress dear!! This kind of prom dresses 2015 meets the basic requirement for us girls. a top-notch table tennis table Best Ping Pong Table that you could use both Table Ping Pong outdoor and indoor. Many thanks Outdoor Ping Pong Table to its terrific features such as resilience, Best Ping Pong Table stability, as well as functionality, with this table visit this site you'll obtain the absolute best performance.